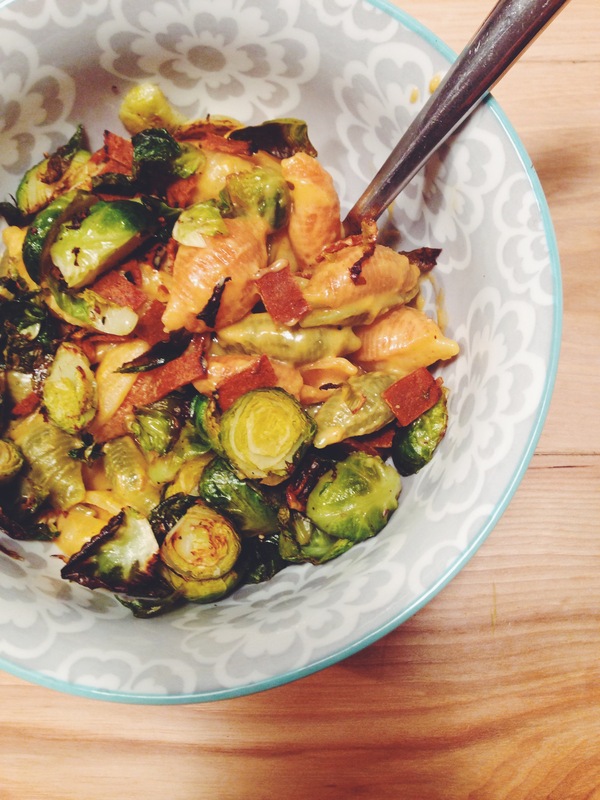 mac and cheese with roasted brussel sprouts and seitan bacon. It has been COLD here in Chicago. Record breaking low temperatures mean all I want is comfort food. Earlier in the week I made nachos for dinner, last night I made my favorite vegan mac and cheese recipe, but took it to a whole new level. I posted this photo on instagram and everyone was going crazy, so I promised to post the recipe. 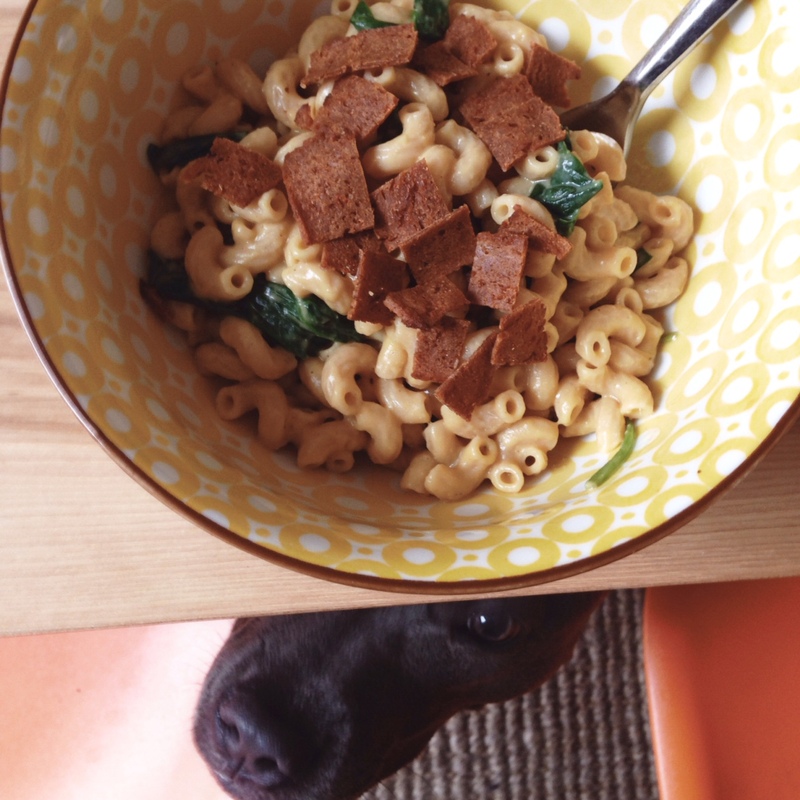 This is hands down, my favorite, go-to vegan mac and cheese recipe. I’ve made it tons of times – its really easy and fast and I always have the ingredients on hand. 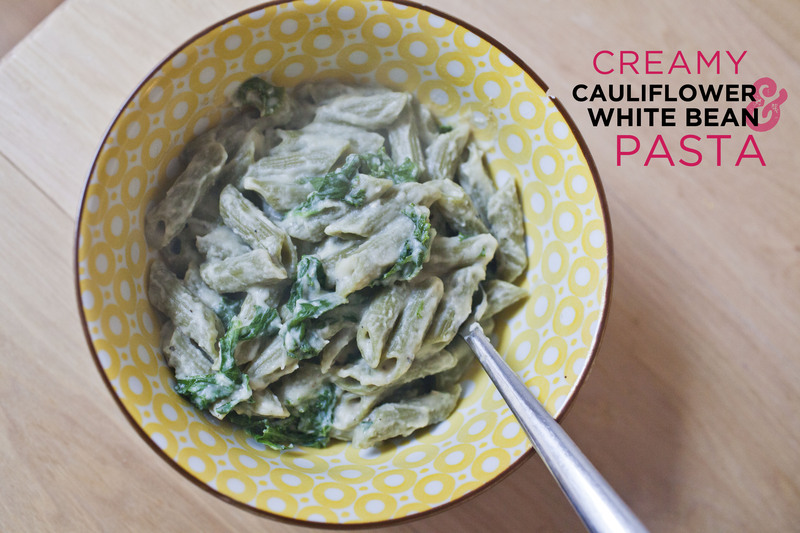 It’s also pretty speedy, which makes for easy weeknight meals! Original recipe can be found in Vegan Diner, but below is my modification. Slice up your brussel sprouts and coat with 1-2 T olive oil and some salt and pepper. Roast for 20-25 minutes. Get your water for the pasta ready to boil. When your water is boiling, add the pasta to the water and cook according to package directions. While that’s happening, dump all of the sauce ingredients into a high powered blender and blend until the cashews are smooth. If you dont have a vitamix, or something similar, make sure to soak your cashews for a few hours, or preferably overnight. Add the cheese sauce to a sauce pan over medium heat and whisk every so often until it starts to thicken. When its thick, lower the heat to low until your pasta is ready. Make sure to fry up your bacon and cut into bits too! When everything is ready, strain your pasta and put back into the pot. Dump your cheese sauce in and mix it in really well, adding some more crushed black pepper. Throw your brussel sprouts in there and your cut up bacon and enjoy!